본 발명은 신호 근원지(the signal source)의 평균 비트율(mean bit rate)과 접속의 손실 확률(the loss probability)을 연속적으로 모니터링(monitors)하는 동적 대역폭 조정 메카니즘(a dynamic bandwidth adjustment mechanism)을 포함하는 패킷 스위칭 네트워크에 대한 액세스를 적응 시키기 위한 방법 및 시스템에 관한 것이다. The present invention comprises a signal source (the signal source) the average bit rate (mean bit rate) and the dynamic bandwidth adjustment mechanism (a dynamic bandwidth adjustment mechanism) which continuously monitor (monitors) the loss probability (the loss probability) of connection of the to a method and system for adapting an access to the packet switching network. 이들 값들은 노이즈(noise)를 제거하기 위해 필터링되며, 이 값은 사전 정의된 허용 적응 영역(a pre-defined acceptable region)내에 있는 평균 비트율과 손실확률 평면 내에 해당하는지 검사하는 데 사용된다. These values ​​are filtered to remove noise (noise), then this value is used to check whether the average bit rate and loss probability within the plane in the predefined acceptable adaptation region (a pre-defined acceptable region). 이 영역 외부에 해당하는 값에 의해 대역폭 적응 조치가 개시되며, 결과적으로 새로운 접속 대역폭이 획득되고, 적응 메카니즘에 대한 새로운 파라미터가 결정된다. This area is a bandwidth adaptation action initiated by a value which corresponds to the outside, as a result, a new connection bandwidth is acquired, it is determined that the new parameter for the adaptation mechanism. 더욱이, 이 메카니즘은 자신의 처리 용량이 주어진 경우 단일 프로세서에 의해 적응될 수 있는 접속의 수를 제어한다. Moreover, this mechanism is given, if its own processing capacity controls the number of connections that may be adapted by a single processor. 이 제어 메카니즘은 통상적으로 단일 접속이 프로세서 용량의 상당 부분을 사용하는 것을 방지함으로써 접속들 간의 공정성을 보증한다. The control mechanism is typically guarantee the fairness among the connection by preventing a single connection using a substantial part of the processor capacity. 본 발명은 고속 전송 네트워크(high speed transmission networks)내 트래픽 관리(traffic management)에 관한 것으로서, 특히 네트워크 내에서 트래픽을 모니터링하고 트래픽 측정의 값을 필터링하며 접속에 할당된 대역폭을 동적으로 조정하기 위한 방법 및 시스템에 관한 것이다. The present invention relates to a method for dynamically adjusting the bandwidth allocated to the, in particular network traffic monitored by the filter and the value of the traffic measuring and connection related to a high-speed transmission network (high speed transmission networks) within the traffic management (traffic management) and to the system. 일반적으로 원격통신(telecommunication) 특히, 패킷 스위칭 네트워크(packet switching networks)는 많은 요소에 의해 그 발전이 추진되며, 그 중에서도 기술과 응용은 특히 중요한 요소이다. In general, telecommunication (telecommunication) In particular, the packet switching network (packet switching networks) is the development is promoted by a number of factors, among technologies and applications is a particularly important factor. 통신 기술은 최근 몇 년 동안 다음과 같은 중요한 발전을 이루었다. Communication technologies in recent years achieved the following significant developments such. 새로운 전송 매체, 특히 광 섬유의 발전. New transmission medium, in particular the development of the optical fiber. 현재는 매우 낮은 비트 에러율(bit error rate)로 고속 전송(high speed rate)이 이루어질 수 있다. Current may be made of a high-speed transmission (high speed rate) at a very low bit error rate (bit error rate). 전용 및 공용 원격통신(private and public telecommunications networks)네트워크에서 디지털 기술을 사용하는 것이 보편화 됨. The use of digital technology in public and private telecommunications (private and public telecommunications networks) network being common. 통신 용량(communication capacity)의 증가에 의해 보다 값 싼 요금이 가능해졌으며, 대용량 대역폭은 경제적으로 더욱 더 매력적으로 여겨지게 되었다. Made possible a more low-cost fee by the increase of the communication capacity (communication capacity), large bandwidth has come to be regarded as a more economically more attractive. 한편, 이들 새롭게 부상한 기술에 따라 이전에는 불가능하였던 다수의 잠재적인(potential) 애플리케이션들이 이제 실현이 가능해지고 경제적 매력을 갖게 되었다. On the other hand, it has been previously possible number of potential (potential) applications are now becoming possible to realize the economic attractiveness who according to these emerging technology. 이러한 상황에서, 세 가지의 원천적인 요구들이 사용자에 의해 제기되었다. In this situation, three fundamentally demands were raised by the user. 현재의 데이터 전송은 어플리케이션에 특정한 초점을 맞추며, 고객 트래픽 프로파일(traffic profile)내 기본적 천이(shift)를 통합함으로써 발전하고 있다. The current data transmission is matchumyeo a specific focus on the application, and development by incorporating within the default transition (shift) the customer traffic profile (traffic profile). 워크스테이션의 발전, 근거리 통신망의 상호 접속, 워크스테이션과 수퍼컴퓨터 간의 분사처리, 새로운 애플리케이션, 다양하며 종종 상충되는 다수의 구조 ― 계층 구조 대동등 구조(peer to peer), 광역 네트워크 대 근거리 네트워크, 음성 대 데이터 ― 들의 통합에 의해 촉진됨으로써 데이터 프로파일은 대역폭을 더 많이 소비하게 되고 버스티(bursty)한 특성을 가지며, 비결정식(non-deterministic)으로 되고 더 큰 접속성을 요구한다. Development of the work station, the interconnection of local area network, a workstation and a water-jetting treatment between the super computers, the new applications, various and often conflicting multiple structure-structure such as a hierarchy aortic (peer to peer), a wide area network for a local area network, voice for data-being facilitated by the incorporation of the profile data is the more consumed bandwidth has a bursty (bursty) the characteristics, and the secret full (non-deterministic) requires a greater connectivity. 상기에 기초하여 호스트, 상업용과 공업용 워크스테이션, 터미널 및 중간 파일 서버(servers)에 소형으로 부착된 채널중 근거리 통신망, 음성, 비디오, 및 트래픽을 고속 네트워크를 통해 전송할 수 있는 분산 컴퓨팅 애플리케이션을 지원하려는 강한 요청이 있다. On the basis of the host, to support the commercial and industrial work station, terminal and intermediate file of the channel attached to the compact to the server (servers) local area network, the distributed computing application to transfer voice, video, and traffic through the high-speed network there is a strong request. 고속 다중-프로토콜 네트워크의 전망(vision)은 고속 패킷 스위칭 네트워크 구조의 원동력으로서, 이러한 구조에서는 노드와 링크의 공통세트(a common set)를 통해 데이터, 음성, 및 비디오 정보가 디지털로 인코드되고, 소형 패킷으로 세분되어 전송된다. High speed multi-view (vision) of the protocol the network is encoded as a driving force for fast packet switching network architecture, such a structure in the through node, and a common set (a common set) of the link data, voice, and video information is digitally, It is divided into small packets and transmitted. 고속 네트워크에 있어서, 노드는 전체적인 접속성(total connectivity)을 제공하여야 한다. In the high-speed network, the nodes must provide a total connectivity (total connectivity). 이는 시스템 공급자(vendor) 혹은 프로토콜에 관계없이 사용자 장치를 부착하고, 최종 사용자가 임의의 다른 장치와 통신할 수 있는 기능을 포함한다. Which is attached to the user equipment regardless of the system provider (vendor) or protocols, including the ability for the end user to communicate with any other device. 네트워크는 데이터, 음성, 비디오, 팩스, 그래픽, 혹은 이미지 등을 포함하는 임의의 타입(type)의 트래픽을 지원해야만 한다. The network must support data, voice, video, fax, graphic, or the traffic of any type (type) containing the image and the like. 노드들은 모든 공통의 전송 설비들을 이용할 수 있어야 하며, 다수의 프로토콜에 적합하여야 한다. Nodes are able to take advantage of all the common transmission facilities and to comply with a number of protocols. 필요한 모든 변환들은 자동적으로 이루어지고, 최종 사용자에게 투명(transparent)해야만 한다. All the necessary conversions are made automatically, the must be clear (transparent) to the end user. 고속 패킷 스위칭 네트워크의 핵심 요건 중 하나는 실시간 운송 조건(real time delivery constraints)을 만족시키며, 음성과 비디오를 전송(transport)하는 데 필수적인 높은 노드당 처리량을 달성하기 위해 종단간(end-to-end) 지연을 감소시키는 것이다. One of the key requirements of a high-speed packet switching network satisfies a real-time transport conditions (real time delivery constraints), end-to-end (end-to-end to achieve the necessary throughput per high node to transfer (transport) the audio and video ) to reduce the delay. 링크 속도의 증가는 통신 노드들의 처리 속도의 증가와 비례하지 않기 때문에, 고속 네트워크에 대한 근본적인 과제는 각 노드내 패킷 프로세싱 시간을 최소화하는 것이다. Because of increase of the link rate is not proportional to the increase in the processing speed of the communication node, the fundamental challenge for high speed networks is to minimize the packet processing time within each node. 프로세싱 시간을 최소화하며 고속/저 에러율 기술을 최대한 이용하기 위해, 새로운 고 대역폭 네트워크 구조에 의해 제공되는 대부분의 전송 및 제어 기능들은 각각의 종단 단위로 수행된다. Minimize the processing time, and is carried out, in most of the transmission and control of each of the end units are provided by the new high bandwidth network architecture to the most of the high speed / low error rate technologies. 흐름 제어, 특정한 경로 선택 및 대역폭 관리 프로세스는 네트워크의 액세스 포인트(the access point)에 의해 관리되며, 결과적으로 중간 노드의 감지(awareness)와 기능을 모두 감소시킨다. Flow control, select a particular path, and bandwidth control process is managed by an access point (the access point) in the network, resulting in decreased both the detection of the intermediate node (awareness) and function. 통신 네트워크들은 효율적인 패킷 전송을 보장 하기 위해 스스로 사용할 수 있는 제한된 자원을 갖는다. Communication networks have limited resources that can be used by itself to ensure efficient packet transport. 효율적인 대역폭 관리는 고속 네트워크를 완전히 이용하기 위해 필수적이다. Efficient bandwidth management is essential in order to fully exploit the high-speed network. 바이트당 전송 비용이 매년 계속해서 떨어지고 있기는 하지만, 대역폭에 대한 요구가 증가함으로써 전송 비용은 여전히 미래의 원격통신 네트워크를 운용하는 데 있어서 주 비용이 될 가능성이 있다. It is falling by the number of bytes transferred per year costs continues, but by the demand for increased bandwidth transmission costs are still likely to be in the main costs of operating a telecommunications network of the future. 따라서, 흐름 및 과잉밀집 제어 프로세스, 대역폭 예약 메카니즘, 네트워크 대역폭을 관리하기 위한 경로지정 알고리즘을 설계하는 데 상당한 노력이 기울여져 왔다. Therefore, considerable effort in designing flow and congestion control over the process, bandwidth reservation mechanism, routing algorithms to manage the network bandwidth has turned tilt. 이상적인 네트워크는 이 네트워크에 제공되는 트래픽에 정비례하는 유용한 트래픽을 네트워크가 최대 전송 용량에 도달할 때까지 전송할 수 있어야 한다. The ideal network should be able to transfer useful traffic directly proportional to the traffic offered to the network until the network reaches its maximum transmission capacity. 이러한 한계 이외에도, 네트워크는 요구의 종류에 상관없이 자신의 최대 용량으로 동작할 수 있어야 한다. In addition to this limitation, the network must be able to operate at their maximum capacity, regardless of the type of request. 실제로, 동작은 몇가지 이유 때문에 이상과는 차이가 있으며, 이 이유들은 모두 과부하된 환경에서의 자원의 비효율적인 할당과 관련되어 있다. In fact, the operation is more than the difference for some reason, the reasons are associated with both inefficient allocation of resources in an overloaded environment. 특정 자원에 지역적 과잉밀집을 회피하기 위해 네트워크 내의 모든 링크들로 트래픽을 공정하게 분산시키기 위한 부하 균형 등이 있다. There are load balanced like for fairly distributing the traffic to all links in the network in order to avoid local over-concentrated in a particular resource. R, 매초당 비트 단위인 인입 트래픽(incoming traffic)의 피크 비트율. R, the peak bit rate of each of the incoming traffic (incoming traffic) in bits per second. m, 매초당 비트 단위인 인입 트래픽의 평균 비트율. m, the average bit rate of the sheet of the incoming traffic in bits per second. b, 초 단위인 트래픽의 평균 버스트 지속기간. b, the average duration of the burst traffic in seconds. 그러나, 실제 버스트 지속기간을 사용하기 보다는, ＂지수 치환(exponential substitution)＂으로 지칭되는 기법이 계산에 사용되며, 트래픽이 전형적인(a well behaved) 지수적으로 분산된 온/오프 프로세스이면, 등가 버스트 지속기간은 동일한 패킷 손실 확률을 나타낸다. However, the actual, rather than using a burst duration, "exponential substitution (exponential substitution)," it is used in the calculation of this technique, which is referred to, when the traffic is typical (a well behaved) exponentially distributed on / off process, the equivalent burst the duration indicates the same packet loss probability. 이와 같은 지수적 프로세스와 상당한 차이가 있는 트래픽에 있어, 이 등가 버스트 지속기간이 실제 트래픽의 특성을 훨씬 정확하게 나타내므로, 동일한 전송 설비 상에서 고밀도의 트래픽 전송이 가능하게 된다. As in that same exponential process and considerable variation of traffic, because the equivalent burst duration is more accurately represent the characteristics of the actual traffic, thereby enabling a high density of traffic on the same transmission facilities. 측정된 파라미터들은 실제 트래픽 동작이 초기의 가정들과 현저히 다를 때 신호 근원지의 네트워크에 대한 액세스를 제어하는데 사용된다. The measured parameters are used to control access to the network of the signal source when the actual traffic behavior substantially different from the initial assumptions. 리키 버킷 메카니즘은 트래픽이 초기의 가정을 벗어날 때 네트워크에 대한 엑세스를 제어하기 위한 한 가지 기법이지만, 이 트래픽이 이 초기 가정들 내에 남아 있는 경우에도 네트워크에 대한 투명한 액세스를 허용한다. Leaky bucket mechanism allows transparent access to the network, even if but one technique for controlling access to the network when traffic is out of the initial assumptions, the traffic remains within the initial assumptions. 이와 같은 리키 버킷 메카니즘이 아마디 등(Ahmadi et al)에 의한 ＂Rate-based Congestion Control in Packet Communications Networks＂라는 명칭의 미국 특허 제 5,311,513 호에 개시되어 있다. Such leaky bucket mechanism is Ahmadi et al, US Patent Application entitled "Rate-based Congestion Control in Packet Communications Networks" by (Ahmadi et al) is disclosed in the No. 5,311,513. 보다 상세히 설명하면, 이 어플리케이션의 리키 버킷 메카니즘은 주어진 시간에 전송된 레드 패킷 수(the number of red packets)를 최소한으로 하면서 고정된 시간 주기 내에 전송될 수 있는 우선 순위가 낮은 패킷 수를 제한함으로써, 우선 순위가 낮은 패킷에 의해 네트워크가 포화 상태로 되는 것을 방지한다. To be more specific, by leaky bucket mechanism is limited to a low number of packets priority to be transmitted in a period of fixed time and to a minimum of a red number of packets (the number of red packets) transmitted at a given time of the application, priority is prevented from being in a saturation state by the lower packet network. 이와 같은 리키 버킷 제어 메카니즘은 패킷 네트워크의 우선 순위가 낮은 처리량(throughput)을 최적화한다. Such leaky bucket control mechanism is the priority of the packet network optimization a lower throughput (throughput). 물론, 우선 순위가 높은 트래픽은 리키 버킷 메카니즘에서 조금도 지연되지 않고 전송된다. Of course, the high-priority traffic is sent without the slightest delay in the leaky bucket mechanism. 상기 기술된 메카니즘들은 상기 트래픽이 합리적으로 잘 동작하고 초기에 가정된 트래픽 파라미터들의 부근 내에 있는 경우에만 트래픽을 제어하는데 적합하다. The mechanism of techniques are suitable for controlling traffic only if the traffic is reasonably well-operate with and in the vicinity of the traffic parameters assumed initially. 그러나, 트래픽 관리 시스템은 잘 동작하지 않고 초기에 가정된 트래픽 파라미터로부터 일탈된 트래픽을 처리하도록 구성되어야 한다. However, it should be configured to handle the traffic deviation from the traffic parameters assumed in the initial traffic management system does not work well. 이와 같은 일탈이 어느 정도의 시간 동안 유지된다면, 새로운 트래픽 파라미터들을 수용하기 위해 새로운 접속 대역폭이 그 접속에 할당되어야 한다. Thus, if such deviation is maintained for a certain period of time, a new connection bandwidth to accommodate the new traffic parameters to be allocated to that connection. 트래픽 동작의 급격한 변화에 제어 시스템을 이와 같이 적응시키면 트래픽 동작의 과도적 변화들을 보다 장시간의 변화들과 분리하기 위해 트래픽 측정값을 필터링하고, 초기에 가정된 트래픽 파라미터가 유지될 수 있는 영역과 새로운 접속 대역폭이 요구되어야 하는 영역을 합리적으로 판단해야 하는 문제들이 존재한다. When this adaptation, as a control system to rapid changes in traffic behavior that can be filter traffic measurements to more separated from the change in the long period of time the transient changes of traffic behavior, maintain the traffic parameters assumed in the initial region and the new there are problems that have reasonably bandwidth connection to the area to be required. 실제 트래픽에 대해 지나치게 큰 대역폭이 할당되면 접속 자원이 낭비되고, 지나치게 작은 대역폭이 할당되면 과동한 패킷 손실이 발생하게 된다. When for the actual traffic is too large bandwidth is allocated access resources are wasted, this is gwadong a packet loss when too little bandwidth allocation occurs. 부수적인 문제들로는 적응 프로세스를 용이하게 구현할 수 있는가하는 문제와 구현시 합당한 정도의 연산 요건이 요구되는가에 관한 문제들을 포함한다. When a problem with implementation issues include ancillary there can be easily adapted to implement the process includes the issue of Are operation requirements of reasonable extent is required. 더비 등(Derby et al)에 의한 ＂Dynamic Bandwidth Estimation and Adaption for Packet Communication Networks＂이라는 명칭의 미국 특허 제 5,359,593 호에는 적응이 요구되지 않고 외부에 대해서는 새로운 대역폭 할당이 요구되어야 하는 영역을 정의함으로써 트래픽 파라미터에서의 변화에 대한 트래픽 제어 시스템의 동적 적응이 개시된다. Derby, such as traffic parameters by defining an area that should be required is a new bandwidth allocation for external U.S. Patent No. 5,359,593 No. of the title of "Dynamic Bandwidth Estimation and Adaption for Packet Communication Networks" is not required and the adaptation by (Derby et al) the dynamic adaptation of a traffic control system to changes in are provided. 특히, 대역폭 요건이 조정된다. In particular, the adjustment bandwidth requirements. 원하는 최대 패킷 손실 확률이 초과되거나 또는 해당 접속 상의 트래픽이 전송 설비를 공유하는 다른 접속에 부당하게 간섭하기 시작하는 것으로 측정되면 상향(upward). When the desired maximum packet loss probability is greater than or the traffic on the connection measured by starting to unfairly interfere with other connections sharing the transmission facilities up (upward). 모든 접속에 대해 임의의 서비스 품질(quality of service)의 보증을 위반하지 않으면서도 접속 사용자 및 네트워크 균형에 대해 현저한 대역폭 절약이 실현될 수 있으면 하향(downward). If for any connection can be a significant bandwidth saving achieved for a given quality of service (quality of service), and even access your network without violating the guarantee of a balanced downward (downward). 적응영역에 대한 이러한 한계들은 유효 평균 버스트 지속기간 b와 유효 평균 비트율 m의 값으로 변화된다. These limits on the adaptation region are changed to the value of the effective mean burst duration b and the effective average bit rate m. 측정된 유효 평균 버스트 지속기간과 유효 평균 비트율은 필터링되어, 이 필터링된 값들이 통계적으로 신뢰할 수 있는지, 즉, 결과적으로 사전 선택된 신뢰 레벨(confidence level)을 보증하기에 충분한 횟수의 원시 측정(raw measurement)이 관여되었는지 보증한다. The measured effective mean burst duration and the effective average bit rate is filtering, how the filter values ​​may be statistically reliable, that is, as a result, the pre-selected level of trust (confidence level) of the raw measurements of a sufficient number of times to ensure (raw measurement ) guarantees that this involved. 이 원시 측정의 최소 횟수는 원시 측정을 수집하는데 요구되며, 트래픽의 평균 비트율로 주어진은 시간의 양을 결정한다. The minimum number of raw measurements are required to collect the raw measurements, given by the average bit rate of the traffic determines the amount of time. 이 측정 시간은 리키 버킷에 대한 인입 데이터 스트림의 통계와 이 인입 트래픽 상의 리키 버킷의 영향을 측정하는데 사용될 수 있다. The measurement time can be used to measure the effect of the leaky bucket on the incoming traffic statistics of the incoming data stream to the leaky bucket. 인입 트래픽 상의 리키 버킷의 영향의 측정은 리키 버킷이 제공된 트래픽내 변동, 즉, 패킷 손실 확률을 얼마나 잘 처리하는지에 대한 척도를 허용한다. Measurement of the influence of the leaky bucket on the incoming traffic allows a measure of the leaky bucket that is provided within the traffic changes, i.e., how well the process the packet loss probability. 트래픽 파라미터들이 원하는 적응 영역밖에 해당할 때, 새로운 접속은 트래픽 파라미터내 변화를 수용하기 위해 다른 대역폭으로 새로운 접속이 요구된다. When the traffic parameters to the outside of the desired adaptation region, a new connection is a new connection with a different bandwidth to accommodate changes in traffic parameters is required. 더비 등(Derby et al)에 의한 ＂Dynamic Bandwidth Estimation and Adaption for Packet Communication Networks＂이라는 명칭의 미국 특허 제 5,359,593 호에 개시된 적응 메카니즘은 제공된 트래픽 변동들이 사소하고 느릴 때 연속적으로 합리적 트래픽 관리 방안을 보장한다. Derby such adaptation mechanism disclosed in U.S. Patent No. 5,359,593 No. of the title of (Derby et al) "Dynamic Bandwidth Estimation and Adaption for Packet Communication Networks" by ensures reasonable traffic management measures in a row when fluctuations provided are minor and slow . 그러나, 이 메카니즘은 트래픽 변동들이 더욱 현저하고 빠를 때 몇 가지 한계들을 나타낸다. However, this mechanism represents some limits when traffic changes are faster and more pronounced. 이때, 적응 메카니즘은 수렴을 위해 보다 긴 시간을 필요로하며 결과적으로 네트워크 상의 대역폭의 예약 초과(over reservation) 혹은 예약 미달(under reservation)을 나타내게 된다. At this time, the adaptation mechanism requires a longer time to converge, and as a result exhibit a reservation in the network in excess of bandwidth (over reservation) or scheduled below (under reservation). 적응 메카니즘의 두 번째 한계는 실제 통상으로 그러하듯이 단일 프로세서에 의해 한 개를 초과하는 접속이 모니터링될 때 나타난다. A second limitation of the adaptation mechanism is shown when As is true with a real normal to be connected to more than one processor, by a single monitor. 몇몇 접속들은 주어진 시간 주기 내에 다른 접속들보다 많은 대역폭 적응을 요구할 수 있다. Some connections may require more bandwidth than other adaptive access within a given period of time. 프로세서의 제한된 프로세싱 능력으로 인해 공정성이 상실될 수 있으며, 이는 다른 접속들에 치명적이다. This fairness may be lost due to the limited processing power of the processor, which is fatal to other connections. 본 발명의 목적은 크고 빠른 트래픽 변동에 대해 대역폭을 동적으로 예측하고 적응시키기 위한 미국 특허 제 5,359,593 호에 개시된 메카니즘을 개선하기 위한 것이다. An object of the present invention is to improve the mechanism disclosed in U.S. Patent No. 5,359,593 for dynamically anticipate and adapt to the bandwidth for large and rapid fluctuations. 본 발명의 또다른 목적은 다수의 접속의 적응을 제어하고, 동일한 프로세서에 의해 지원된 모든 접속 사이의 공정성을 보증하기 위한 것이다. A further object of the invention is to ensure fairness between the adaptive control of the number of connections, and the support all connected by the same processor. 근원지 노드 내의 동일한 프로세서에 의해 처리된 모든 접속에 대해 상기 대역폭 변경 요구의 평균 횟수에 따라서 손실 확률 측정 로우 패스 필터의 대역폭을 적응시키는 단계를 더 포함한다. The step of adapting the bandwidth of the loss probability of measuring the low-pass filter in accordance with the average frequency of said bandwidth changing request for all connections processed by the same processor in the source node further comprises. 제1도는 본 발명에 따른 동적 트래픽 관리 메카니즘의 개략적 표현을 도시한 도면. First turning view showing a schematic representation of the dynamic traffic management mechanism of the present invention. 제2도는 본 발명에 제시된 노드들을 포함하는 통상적인 고속 패킷 스위칭 네트워크의 모델을 도시한 도면. A second turning view showing a typical model of high speed packet switching network including nodes provided in the present invention. 제3도는 본 발명에 따른 고속 노드를 상술한 도면. The third turn drawing the aforementioned high-speed nodes of the present invention. 제4도는 본 발명에 따른 적응 영역의 평균 비트율/유효 버스트 지속기간 평면내에서, 새로운 접속 파라미터가 기존의 접속에 대해 요구된 영역 이외의 적응 영역의 도형적 표현을 도시한 도면. The fourth turning view showing a Graphical representation of the adaptation region outside of the in the average bit rate / valid burst duration of the adaptation region plane according to the invention, new connection parameters are requested for an existing connection area. 제5도는 제4도에 도시된 적응 영역을 사용하여 대역폭을 동적으로 적응하기 위한 프로세스의 플로우챠트를 도시한 도면. The drawing shows a flow chart of a process for dynamic adjustment of bandwidth using the adaptation region shown in FIG. 5, the fourth turn. 제6도는 본 발명에 따른 감독 모듈(the Supervision module)에 의해 구현된 흐름 제어의 도형적 표현을 도시한 도면. The sixth turning view showing the shape expression of a flow control implemented by the supervision module (the Supervision module) according to the present invention. 제7도는 본 발명의 동적 트래픽 관리 메카니즘을 사용하여 초기의 접속과 동적으로 변환된 접속들을 설정하는데 사용될 수 있는 접속 요구 메시지를 도시한 도면. The seventh turning view showing a connection request message that can be used to set the cost by using the dynamic traffic management mechanism to convert the initial connection and dynamic connection of the present invention. 도 2에 도시된 바와 같이, 통상적인 통신 시스템의 모델은 전용 회선, 서비스가 제공된 캐리어, 혹은 공용데이터 네트워크를 사용하여 고성능 네트워크(200)를 통해 통신하는 소정의 사용자 네트워크(212)로 구성된다. Also, the conventional model of a communication system as shown in Figure 2 is composed of a dedicated line, a given user network 212 to the service communication through the high-performance network 200 by using the provided carrier, or public data network. 각각의 사용자 네트워크는 통신 프로세서들과, 상업용 서버(213)로서 사용된 대용량 컴퓨터, LAN(근거리 통신망 ; Local Area Networks)(214) 상에 부착된 워크스테이션 혹은 개인용 컴퓨터를 사용하는 사용자 그룹, 애플리케이션 서버(215), PBX(사설 구내 교환설비 ; Private Branch eXchange)(216) 혹은 비디오 서버(217)와 상호 접속하는 링크(211)의 세트로서 기술될 수 있다. Each user network is a high-capacity computer used as the communications processor and the commercial server (213), LAN (local area network; Local Area Networks) (214) onto a work station or a user using the personal computer group attached to, the application server, (215), PBX; can be described as a set of (telephone exchange equipment private Branch eXchange) (216) or video servers (217) and interconnecting link 211. 상이한 설정(different establishments)으로 산개된(dispersed)이들 사용자 네트워크는 광대역 전송 설비들을 통해 접속될 필요가 있고, 상이한 방안들이 데이터 전송을 조직하기 위해 사용될 수 있다. The spread in different settings (different establishments) (dispersed) These user network may need to be connected via the broadband transmission facilities, it can be used for different ways to organize the transfer of data. 소정의 구조들은 각각의 네트워크 노드에서 데이터 무결성(integrity)에 대해 체크를 수행하므로 전송이 느려진다. Predetermined structures Slow transmission because it performs a check for data integrity (integrity) at each network node. 다른 구조들은 본질적으로 고속 데이터 전송을 추구하며, 이것을 위해 노드 내의 전송, 경로지정, 스위칭 기법은 패킷 흐름이 가능한 가장 높은 속도로 그 최종 목적지까지 도달할 수 있게 프로세스하도록 최적화된다. The other structures are essentially pursues a high-speed data transmission, the process is optimized to allow specified transmission path in the node for this, the switching technique is able to reach its final destination at the highest possible speed of the packet flow. 본 발명은 본질적으로 후자의 카테고리에 속하며, 특히 이하 기술되는 고속 패킷 스위칭 네트워크 구조에 관한 것이다. The invention belongs to the latter category essentially of, in particular, to a high speed packet switching network fabric described below. 도 2의 개괄도는 여덟 개의 노드(201 내지 208)들을 포함하는 고속 패킷 스위칭 전송 시스템을 도시한 도면으로서, 각각의 노드는 트렁크(Trunks)(209)로 지칭되는 고속 통신 선로에 의해 상호 접속된다. A view outline diagram of Figure 2 shows a fast packet switching transmission system comprising eight nodes (201 to 208), each of the nodes are interconnected by a high speed communication line, it referred to as the trunk (Trunks) (209) . 사용자에 의한 고속 네트워크로의 액세스(210)는 주변에 위치한 액세스 노드(202 내지 205)들을 통해 실현된다. Access to the high speed network by the user (210) is realized through Access Nodes (202 to 205) located in the surrounding area. 이들 액세스 노드들은 하나 이상의 포트(ports)를 포함하여, 이들은 제각기 네트워크에 대한 표준 인터페이스를 지원하는 외부 장치를 부착하고 다른 외부 장치로부터의 사용자 데이터 흐름을 네트워크 간에 전송하는 데 필요한 변환을 수행하는 액세스 포인트(access point)를 제공한다. These access nodes may include one or more ports (ports), these are each attached to the external devices supporting standard interfaces to the network and access to perform conversions required to deliver the user data flow to and from other external devices between the network points It provides (access point). 예를 들어, 액세스 노드(202)는 세 개의 포트를 통해 사설 구내 교환설비(PBX), 애플리케이션 서버, 허브와 제각기 인터페이스하며, 인접한 중계 노드(Transit Nodes)(201, 206, 208)들에 의해 네트워크를 통해 통신한다. For example, the access node 202 and telephone exchange equipment (PBX), an application server, hub, and each interface through the three ports, adjacent relay node (Transit Nodes) network by a (201, 206, 208) to communicate through. 각각의 네트워크 노드(201 내지 208)는 인입 데이터 패킷들이 선택적으로 발신 트렁크 상에서 인접 중계 노드로 경로지정 되는 경로지정 포인트(Routing Point)를 포함한다. Each network node (201 to 208) comprises a routing point incoming data packets are selectively routed to the neighboring relay nodes in the outgoing trunk (Routing Point). 이와 같은 경로지정 결정들은 데이터 패킷의 헤더(header) 내에 포함된 정보에 따라 행해진다. The routing decision are carried out according to the information contained in the header (header) of the data packet. 기본적인 패킷의 경로지정 기능외에도, 네트워크 노드들은 또한 다음과 같은 부수적인 서비스를 제공한다. In addition to the basic packet routing function of, network nodes also provide ancillary services such as the following. 각각의 포트는 다수의 사용자 프로세싱 장치에 접속되며, 각각의 사용자 장치는 제각기 또다른 사용자 시스템으로 전송될 디지털 데이터의 근원지 혹은 또다른 사용자 시스템으로부터 수신된 디지털 데이터를 소비하기 위한 데이터 싱크(data sink) 중 하나, 또는 통상적으로 이들 모두를 포함한다. Each port is connected to a plurality of user processing devices, each user device is a data sink (data sink) for consuming digital data received respectively again from another user system, the source or other user system, digital data to be transmitted to and one of, or typically includes both. 사용자 프로토콜을 해석하고, 사용자 데이터를 패킷 네트워크(200) 상에 전송하기에 적합하게 포맷된 패킷으로 번역(translation)하고 이들 패킷을 경로지정 하기 위한 헤더를 생성하는 일은 포트에서 작동하는 액세스 에이전트(an Access Agent)에 의해 수행된다. Analysis of the user protocol and with a suitably formatted for transmitting user data on the packet network 200, the packet translation (translation), and access to operate on port days to create a header for specifying the packets path agent (an is performed by the Access Agent). 이 헤더는 제어 필드 및 경로지정 필드로 구성된다. The header is composed of a control field and a routing field. 경로지정 필드(Routing Fields)는 패킷을 네트워크(200)를 통해 주소 지정된 목적지 노드로 경로지정하기 위해 필요한 모든 정보를 포함한다. The routing field (Routing Fields) contains all the information necessary to route the packet to the address assigned to the destination node through the network 200. The 이들 필드는 지정된 경로지정 모드(routing mode)에 따라 소정의 포맷을 구비할 수 있다(접속 지향형 모드 혹은 비접속 경로지정 모드). The field specifies the path specified mode (routing mode) may have a predetermined format (connection-oriented or connectionless mode, the routing mode) according to the. 제어 필드(Control Fields)는 다른 것들 보다도, 경로지정 필드를 해석하는 데 사용되는 인코드된 프로토콜의 식별을 포함한다. The control field (Control Fields) is other than those includes an identification of the encoded protocol, which is used to interpret the routing field. 도3은 도2에 도시된 네트워크 노드(201 내지 208)에서 발견될 수 있는 것과 같은 통상적인 경로지정 포인트(300)의 개략적인 블록도를 도시한다. Figure 3 shows a schematic block diagram of the network node conventional routing point, such as may be found in (201 to 208) 300 shown in FIG. 경로지정 포인트(a Routing Point)는 경로지정 포인트에 도달하는 패킷이 인입되는 고속 패킷 스위치(302)를 포함한다. Routing point (a Routing Point) includes a high-speed packet switch 302 that the incoming packet arriving at the Routing Point. 다음과 같은 패킷들이 수신된다. It is following packet as received. 패킷 헤더내 정보를 이용하여, 어댑터(304, 301)는 어느 패킷이 스위치(302)에 의해 노드를 떠나 국부적 사용자 네트워크(307) 혹은 전송 링크(303)로 경로지정될지를 결정한다. Determines the packet by using the information within the header, the adapters (304, 301) which specifies whether the packet path to a local user network (307) or a transmission link (303) leaving the node by the switch 302. 어댑터(301과 304)는 스위치(302) 상에 이들 패킷이 도달하기 전에 혹은 도달한 후 패킷을 큐(queue)로서 저장하기 위한 큐 회로(queueing circuit)를 포함한다. Adapters (301 and 304) comprises a queue circuit (queueing circuit) for storing a packet after or before reaching these packets arrive at a switch 302 as a queue (queue). 루트 제어기(the Route Controller)(305)는 사용자에 의해 지정된 주어진 세트의 서비스를 만족하거나 혹은 통신경로를 설정하는데 사용되는 네트워크 자원의 양을 최소화하도록 네트워크(200)를 통한 최적 경로를 계산한다. Route controller (the Route Controller) (305) calculates the optimum path through the network 200 so as to minimize the amount of network resources used to satisfy a given set of services specified by the user, or set up a communication path. 이어서, 루트 제어기(305)는 경로지정 포인트에서 생성되는 패킷의 헤더를 구축한다. Then, the route controller 305 builds the header of the packets generated by the routing point. 최적화 기준(the optimization criterion)은 중간 노드의 갯수, 접속 요구의 특성, 경로내 트렁크의 용량 및 활용도, 이 접속에 대해 지정된 서비스 품질 등을 포함한다. Optimization criterion (the optimization criterion) comprises a quality of service, etc. is specified for the number, characteristics of the connection request, and the capacity utilization of the Trunks in the path, a connection of the intermediate node. 경로지정에 필수적인 모든 정보 및 노드와 상기 노드에 접속된 전송 링크에 대한 모든 정보는 네트워크 토폴로지 데이터베이스(Network Topology Database)(306)내에 포함된다. All information on the transmission links connected to all the information necessary for routing and node and the node is included in the network topology database (Network Topology Database) (306). 정상상태(steady state) 조건하에서, 모든 경로지정 포인트는 네트워크에 대해 동일하게 관찰한다. Under steady state conditions (steady state), all the routing points is the same observation for the network. 네트워크 토폴로지 정보는 새로운 링크가 활성화되었을 때, 새로운 노드가 네트워크에 추가되었을 때, 링크 혹은 노드가 제거(drop)되거나 또는 링크 로드가 상당히 변화되었을 때 갱신된다. When the network topology information, the new link is activated, when a new node is added to the network, or a link is updated when the node is removed (drop) or link rod is significantly changed. 이와 같은 정보는 자원이 부착된 네트워크 노드에서 발신되며, 제어 메시지에 의해 다른 모든 경로 서버와 교환되어 경로 선택에 필요한 최신 토폴로지 정보를 제공한다(이러한 데이터베이스의 갱신은 네트워크의 최종 사용자 사이에서 교환되는 데이터 패킷과 매우 유사한 패킷으로 전달된다). That information is the data that is sent from the resource is attached to a network node, is exchanged with all other path, the server by the control message and provides up-to-date topological information needed for route selection (updating of such a database is exchanged between the network end user It is transmitted in much the same packet as the packet). 계속적인 갱신을 통해 네트워크 토폴로지가 모든 노드에서 현재 상태로 유지된다는 사실로 인해 최종 사용자의 논리적 접속을 손상(disrupt)하지 않고도 동적 네트워크 재구성(reconfiguration)이 가능하게 된다. Dynamic reconfiguration of the network will continue through the updated network topology due to the fact that maintaining the current status on all nodes without damage (disrupt) the logical connection between the end user (reconfiguration) is possible. 패킷 경로지정 포인트에 대한 인입 전송 링크는 근거리 사용자 네트워크(210)내 외부 장치로부터의 링크 혹은 인접한 네트워크 노드로부터의 링크(트렁크)를 포함할 수 있다. Incoming transmission links to the packet specified path points may include a local area network user 210 links (Trunks) from adjacent network nodes or links from within the external device. 어느 경우에도 상기 경로지정 포인트는 동일한 방식으로 동작하며, 각각의 데이터 패킷을 수신하여 패킷 헤더내 정보가 지시하는 바에 따라 또다른 경로지정 포인트로 전송한다. In either case, the specified route point operates in the same manner, and again transferred to another Routing Point as provided for receiving each data packet indicated in the packet header information. 고속 패킷 스위칭 네트워크는 단일 패킷의 지속 기간을 제외하고는 해당 통신 경로에 대해 어떠한 전송 설비 혹은 노드 설비도 전용하는 일 없이 임의의 두 최종 사용자 간의 통신이 이루어지도록 한다. High speed packet switching networks, and is such that communication between any node transmission facilities or facilities are any two end users without a dedicated communication path except for the place the duration of a single packet. 이러한 방법으로, 각각의 통신 경로에 대해 전용 전송 링크를 사용할 때 가능했던 것보다 현저히 많은 트래픽을 전송하도록 패킷 네트워크의 통신 설비의 활용이 최적화된다. In this way, the utilization of the communication facilities of the packet network to deliver significantly more traffic than is possible when using a dedicated transmission links for each communication path is optimized. 호출 설정시에 설정된 네트워크의 사용자와 네트워크 간의 애역폭 예약 동의를 실행. Running her bandwidth reservation agreement between the user and the network, it sets the network at call setup. 네트워크 제어 기능은 일정 수준의 서비스 품질을 제공하며, 요구 있을시 네트워크를 통해 설정된 모든 트랜스포트 접속에 대한 대역폭 보증을 제공한다. Network control function provides a certain level of quality of service, providing bandwidth assurance for every transport connection established through the network when you request. 지정된 대역폭으로 트랜스포트 접속이 설정됐을 때, 네트워크와 접속 개시자(initiator)사이의 상호 작용은 이 접속에 대해 보증된 대역폭이 예약되거나 혹은 네트워크 자원의 부족 때문에 접속이 차단되든지 하나가 된다. Would have been when the transport connection is set to the given bandwidth, the interaction between the initiating network and the connection character (initiator) is one doedeunji is disconnected due to lack of network resources or the reserved or guaranteed bandwidth for this connection. 설정이 완료되고 전송이 시작되면, 과잉밀집 제어 메카니즘은 자신의 버스트를 제어하며 링크에 대한 소정의 장기 평균 비트율을 보증함으로써 네트워크로 들어가는 트래픽이 할당된 대역폭 내에 있는 것을 보증한다. When the setting is completed and the transmission is started, the excessive congestion control mechanism to ensure that it is within the traffic entering the network by controlling the own burst, and ensure the desired long-term average bit rate for the link bandwidth assigned. 접속 설정시 접속이 필요한 대역폭을 규정할 때, 접속은 자체적인 과잉밀집 제어 메카니즘을 필요로 하며, 자체적인 네트워크 접속이 할당된다. When the bandwidth is defined during connection set up is required, connections require their own over-concentrated control mechanism and is assigned its own network connection. 기본적인 방어적 과잉밀집 제어 방안(strategy)은 제한된 지연과 중간 노드내에서 매우 작은 가능성(10 -6 오더)을 갖는 패킷 손실로 네트워크를 통과할 수 있는 트래픽의 예약된 레벨을 사용자에게 보증하는 각 접속의 액세스 노드에서 리키 버킷 동작으로 구성된다. The basic defensive over-crowded control room (strategy) are each connected to ensure the scheduled level of traffic that can pass through the network to a packet loss has a very small probability (10-6 orders) within a limited delay and the intermediate node to the user It consists of the access node to the leaky bucket operation. 패킷 손실이 낮거나 전혀 없게 하는 가장 용이한 방법은 사용자 접속의 전체 대역폭을 예약하는 방법일 것이다. The easiest way to prevent packet loss is less or not at all will be how to make a reservation at the full bandwidth of your connection. 그러나, 버스트 특성을 갖는(bursty) 사용자 트래픽에 대해, 이러한 접근법은 네트워크 전체에 걸쳐 상당한 양의 대역폭을 낭비할 수 있다. However, (bursty) traffic for a user having a burst characteristic, this approach may waste a substantial amount of bandwidth over the entire network. 그러므로, 한가지 접근법은 사용자가 필요로 하는 ＂등가 용량＂에 해당하는 대역폭 양을 예약하는 것이다. Therefore, one approach is to reserve the amount of bandwidth that corresponds to the "equivalent capacity" in need. 기본적인 아이디어는 예약 메카니즘이 근원지 특성에 관한 지식과 네트워크 상태에 관한 지식으로부터 예약의 레벨을 추출하는 것이다. The basic idea is to reserve mechanism to extract the level of the reserve from the knowledge of the knowledge and network status on the source characteristics. 이 예약 레벨은 사용자에 의해 요구된 평균 대역폭과 접속의 최대 용량이 사이의 소정의 값으로 된다. The reservation level is at a predetermined value between the average bandwidth required by the user to the maximum capacity of the connection. 다수의 버스트 접속에 있어, 이 예약 레벨은 낮은 버스트 접속에 대해 동일한 버림확률(the same discard probability)을 보증하기 위한 것보다 높은 레벨이 필요하다. In the number of burst access, the reserve level is needed to ensure a higher level than the same probability of abandonment (the same discard probability) for the low-burst access. 대부분의 트래픽은 대역폭이 예약된 접속 상에서 흐르기 때문에, 필요한 대역폭을 스스로 예측할 수 없는 사용자를 위해 필요한 대역폭을 예측하는 것이 필수적이다. Since most of the traffic flow on the connection, the bandwidth reservation, it is necessary to estimate the required bandwidth for users who do not need to predict the bandwidth itself. 예를 들어, LAN 서버로부터 네트워크로 진입하는 트래픽에 대해 필요한 대역폭을 정의하는 것이 사용자에게는 매우 어려운 것일 수 있다. For example, it may be very difficult for the user to define the necessary bandwidth for traffic entering from the server to the LAN network. 그러므로, 사용자 트래픽과 링크의 활용도를 예측하며, 사용자 대역폭 요건에 있어 검출된 변화에 대해 리키 버킷 피라미터를 언제 어떻게 변화시킬지를 결정하기 위해 어떤 수치를 측정하고 어떤 필터를 사용할지를 결정하기 위해 상당한 연구가 행해졌다. Therefore, considerable research to determine whether the user predict the utilization of traffic and link, in user bandwidth requirements, measure a value to determine the leaky bucket Fira sikilji how the meter when changing for the detected change and use some filters It has been done. 과잉밀집 제어 메카니즘은 사용자 트래픽 스트림을 모니터링하며, 사용자 요구의 증가로 손실 확률을 보증하거나 혹은 사용자 요구의 감소로 대역폭을 더욱 효율적으로 사용할 필요가 있을 때, 예약된 대역폭으로 변화시킨다. Excess density control mechanism, and monitor user traffic stream, and changes to the reserved bandwidth when it is necessary to ensure the loss probability increases as the user's requirements, or to reduce the use of bandwidth a user needs more effectively. 이 시점에서, 대역폭을 현저하게 변화시키게 되면 네트워크 간에 새로운 경로 선택 및 대역폭 유지 운용 흐름이 필요하게 되고, 빈번하게 변화시키면 네트워크 쓰레싱 조건(a network thrashing condition)을 야기할 우려가 있음을 주지하여야 한다. At this point, when will significantly change the bandwidth and the new routing and bandwidth conservation operational flow is required between the network, when frequent changes should be noted that there is a fear to cause a network thrashing condition (a network thrashing condition) . 패킷을 네트워크 상으로 전송하기 위해, 근원지 노드로부터 목적지 노드까지 네트워크를 통해 패킷을 전송하기 위한 알맞은 경로 또는 알맞은 루트(route)를 계산할 필요가 있다. To send packets over the network, it is necessary to calculate the correct path or the appropriate route (route) for sending packets over a network from a source node to a destination node. 이 루트 상의 임의의 링크에 오버로드(overload)를 방지하기 위해, 상기 루트는 새로운 접속을 보증하는 알고리즘에 일치하도록 계산된다. To prevent an overload (overload) in any link on the route, the route is calculated in conformity with the algorithm to guarantee the new connection. 이와 같은 알고리즘 중 하나가 아마디 등(Ahmadi et al)에 의한 ＂Mathod and Apparatus for Optimum Path Selection in Packet Transmission Network＂라는 명칭의 미국 특허 제 5,233,604 호에 개시되었다. In one of such algorithms it is disclosed in the name of the US Patent No. 5,233,604 of "Mathod and Apparatus for Optimum Path Selection in Packet Transmission Network" by such Ahmadi (Ahmadi et al). 이와 같은 루트가 계산되고 나면, 계산된 루트에 따라, 새로운 접속을 반영하도록 해당 루트를 따라 각각의 링크의 대역폭 점유를 갱신하여 네트워크 상에 접속 요구 메시지가 개시된다. After this, such as the root is calculated, according to the calculated route, and updating the bandwidth occupancy of each link along the route to reflect the new connection starts a connection request message to the network. 접속 요구 벡터내 값들은 각각의 루트의 링크를 검사하여 새로운 접속이 실제로 해당 링크에 의해 지원될 수 있는지를 결정하고, 새로운 접속의 부가를 반영하는 링크에 대한 링크 점유 거리(link occupancy metric)를 각각의 링크에 대해 분리적으로 갱신하는 데 사용된다. The connection request vector My values ​​will determine whether the new connection by checking the links of each route can actually be supported by the corresponding links, each link occupying the street (link occupancy metric) for links to reflect the addition of new connections It is used to separately updated for the link. 상기 루트가 계산되기 때문에 링크 점유가 변화되면, 접속은 루트를 따라 임의의 노드에서 거절될 수 있고, 근원지 노드는 이 거절을 통보받을 수 있다. If the link occupancy has changed since the route is calculated, the connection may be rejected at any node along the route, the source node can be notified of the refusal. 마지막으로, 제어필드(702)는 접속을 설정하는 데 사용된 부가적인 정보를 포함하지만, 이는 본 발명에 해당되지 않으므로 본 명세서에서는 더 이상 논의되지 않을 것이다. Finally, the control field 702 comprises an additional information used to establish the connection, but this will not be discussed further in the present specification does not apply to the present invention. 접속이 거절될 때, 도7과 동일한 포맷을 갖는 접속제거 메시지는 제거될 접속 루트를 따라 전송된다. When a connection is denied, connection removal message having the same format as Fig. 7 is transmitted along the connection route to be removed. 그러면, 각 링크의 링크 점유는 제거된 접속에 대한 거리를 치환함으로써 이 접속의 제거를 반영하도록 갱신된다. Then, the link occupancy of each link are updated to reflect the removal of this connection by substituting the distance to the removed connection. 네트워크(200)에 적용될 사용자 트래픽의 각각의 근원지에 대해 도1에 도시된 근원지 대역폭 관리 시스템이 제공된다. The source bandwidth control system shown in Figure 1 is provided for each source of user traffic to be applied to network 200. 이들 대역폭 관리 시스템은 액세스 노드들 내에 위치되고, 이와 같은 시스템 중 하나는 두개의 통신 사용자 사이의 각 전송 방향에 대해 제공된다. The bandwidth control system is positioned in the access nodes, one of such a system is provided for each direction of transmission between two communicating users. 이와 같은 시스템은 고정 배선된 회로 소자(hard-wired circuit components)로서 실현될 수 있지만, 바람직한 실시예는 프로그램된 컴퓨터를 사용하는데, 이는 개선을 수용하고 트래픽 패턴 내의 변화를 반영하도록 더욱 쉽게 변형되기 때문이다. Such systems because may be realized as a hard-wired circuit device (hard-wired circuit components), a preferred embodiment accommodates improved, which uses a programmed computer, and more easily modified to reflect changes in traffic patterns to be. 도 1에 도시된 근원지 대역폭 관리의 더욱 상세한 설명을 하기 전에, 다음의 변수들이 정의될 것이다. Before a more detailed description of the source bandwidth management shown in Figure 1, it will be the following variables are defined. R : 비트당 초 단위인, 접속을 개시 하기 위해 사용자 근원지에 의해 요구되는 입력 트래픽의 최대 비트율. R: the seconds per bit, a maximum bit rate of the input traffic required by the user source to initiate the connection. m : 비트당 초 단위인, 접속을 개시하거나 적응시키기 위해 사용자 근원지에 의해 요구되는 입력 트래픽의 평균 비트율. m: the average bit rate of the input traffic required by the user source to initiate or adapt the number of seconds of connection per bit. b : 초 단위인, 접속을 개시하거나 적응시키기 위해 사용자 근원지에 의해 요구되는 입력 트래픽의 평균 버스트 지속기간. b: the second unit, and the average burst duration of the input traffic required by the user source to initiate a connection or adaptation. 을 예측 및 적응 모듈(104)로 보고한다. A report to the prediction and adjustment module 104.
m n : 지속기간 t의 n번째 샘플링 주기에 대한 입력 트래픽의 평균 비트율의 원시 측정값. m n: mean bit rate raw measurements of the input traffic for the n-th sampling period of duration t.
: 지속기간 t의 n번째 샘플링 주기 동안 리키 버킷 모듈(107)내에서 관찰되는 레드 표시 확률(the red marking probability)의 원시 측정값. : For the n-th sampling period of duration t leaky bucket module 107 raw measurement of the red display odds (the red marking probability) to be observed in the. : 도 1의 비트율 m 필터(105)에 의해 필터링됨으로써, n번째 샘플링 주기의 끝에서 입력 트래픽에 대한 평균 비트율 m의 필터링된 값. : Being also filtered by bit rate m filter 105 of 1, the filtered value of the mean bit rate m for the input traffic at the end of the n-th sampling period. 의 필터링된 값. The filtered value. : 도 1의 리키 버킷 모듈 내에서 현재 사용되는 그린 토큰 생성률(the green token generation rate). : Green token generation rate (the green token generation rate) currently used in the leaky bucket module of FIG. 그린 토큰 생성률은 그린으로 표시된 패킷들이 네트워크로 전송될 수 있는 비율을 결정한다. Green token generation rate is the rate packets are marked with a green that can be sent over the network. γ(등가 용량)의 대역폭 양은 이 접속을 위해 네트워크 내에 예약되었다고 가정한다. The amount of bandwidth γ (equivalent capacitance), it is assumed that reservations in the network for the connection. M : 도 1의 리키 버킷 모듈내 그린 토큰 풀(the green token pool)의 최대 사이즈. M: The maximum size of my green token pool in the leaky bucket module 1 (the green token pool). 그린 토큰 풀의 사이즈는 네트워크 내로 전송되는 그린 패킷의 길이를 결정한다. The size of the green token pool determines the length of green packets to be transmitted into the network. 접속 에이전트(103)는 이들 접속 요건들을 경로 선택 제어기(102) 상으로 전달한다. Access agent 103 transmits these requirements connected with the routing controller 102. 경로 선택 제어기는 이들 요구들을 토폴로지 데이터베이스(101) 내에 저장된 최신의 네트워크 설명과 함께 이들 모두의 요구를 만족시키는 네트워크(200)를 통해 대역폭(등가 용량) γ와 접속 경로 계산에 이용한다. Routing controller uses for these needs through the network topology database (200) to satisfy requirements for both of these with the latest network description stored in the 101-bandwidth (equivalent capacitance) and γ connection route calculation. 최적 경로 선택 제어기 중 하나가 아마디 등(Ahmadi et al)에 의한 ＂Method and Apparatus for Optimum Path Selection in Packet Transmission Networks＂라는 명칭의 미국 특허 제 5,233,604 호에 기술되었다. One of the best path selection controller has been described in U.S. Patent No. 5,233,604 by the Ahmadi, etc. (Ahmadi et al) entitled "Method and Apparatus for Optimum Path Selection in Packet Transmission Networks". 접속 경로가 계산된 후, 제안된 접속 경로는 도7에 도시된 메시지와 같은 접속 요구 메시지로 인코드되어 링크(110) 상의 대역폭 요구로서 네트워크(200)내로 도달한다. After the access path is calculated, the proposed connection path is encoded in a connection request message such as the message shown in Figure 7 and reaches into the network 200 as the bandwidth requirements for the link 110. 도7의 대역폭 요구 메시지는 계산된 접속 경로를 횡단(traverse)하며, 루트에 따른 각 노드에서 다음 접속 링크 내에 접속 요구를 만족시키기 위해 요구된 대역폭을 예약하는데 사용된다. Bandwidth request message of FIG. 7 and transverse (traverse) the computed connection path, it is on each node according to the route used to schedule a requested bandwidth to meet the connection request, and then in the connected link. 계산된 경로에 따라 충분한 대역폭이 각 접속의 링크에서 이용 가능하면, 목적지 노드는 상기 요구를 수신하며, 새로운 접속의 수용을 다시 전송한다. If there is sufficient bandwidth along the calculated route is available in each link of the connection, the destination node receives the request, transmits the acceptance of a new connection again. 루트를 따라 임의의 링크에서, 트래픽 패턴의 변화 때문에 불충분한 대역폭이 이용가능하면, 접속 요구의 거부가 근원지 종단 노드로 다시 전송된다. At any link along the route, when the available bandwidth is insufficient due to changes in traffic patterns, a denial of the connection request is sent back to the source end node. 이들 대역폭 응답들은 긍정이건 부정이건 링크(111) 상의 접속 에이전트(103)로 다시 전달된다. The bandwidth response are positive it is negative it is passed back to connection agent 103 on the link 111. 접속이 거절되면, 사용자 근원지가 통지되며, 접속에서 나중에 또다른 시도가 행해질 수 있다. If the connection is refused, the source user is notified and can be done in another attempt to access it later. 접속이 허용되면, 리키 버킷 모듈(107)이 활성화되어 사용자 트래픽의 액세스를 제어하기 위해 적절한 파라미터가 제공된다. If the connection is accepted, leaky bucket module 107 is enabled, the appropriate parameters are provided to control the access of the user traffic. 그러면, 사용자는 트래픽의 도입을 시작한다. Then, the user begins the introduction of traffic. 근원지 대역폭 관리 시스템은 입력 링크 상의 사용자 트래픽이 인가되는 리키 버킷 모듈(107)을 포함한다. Source bandwidth management system includes a leaky bucket module 107 applied to the user traffic on the input link. 리키 버킷 모듈(107)의 출력은 도2의 네트워크(200)로 인가된다. The output of leaky bucket module 107 is applied to the network 200 of FIG. 리키 버킷 모듈(107)에 있어서, 패킷들은 통상적으로 ＂레드＂와 ＂그린＂으로 지칭되는 적어도 두 개의 다른 우선 순위 부류들 중 하나로 네트워크에 도달하며, 이 경우 그린이 상위 우선 순위를 갖는다. In the leaky bucket module 107, the packets to one of the typically "red" and at least two different priority classes, referred to as "green" reaches the network, this case has a green this higher priority. 그린 패킷들은 네트워크 내에서 허용 가능한 지연의 레벨과 손실 확률에 기초하여 사전 규정된 서비스의 등급(a pre-specified grade of service)으로 보증된다. Green packets are guaranteed a pre-specified level of the service (a pre-specified grade of service) based on the level and loss probability of the permissible delay in the network. 레드 패킷들은 동일한 보증을 갖지 않고, 과잉밀집이 발생할 때 그린 패킷들에 앞서 제거된다. Red packets are removed without having the same guarantee, prior to the green packet when excessive congestion occurs. 리키 버킷 메카니즘에 있어 최적으로 패킷들을 표시하기 위한 방안들은 아마디 등(Ahmadi et al)에 의한 ＂Rate-based Congestion Control in Packet Communication Networks＂라는 명칭의 미국 특허 제 5,311,513 호에 개시되었다. Ricky methods for displaying at best the packet in the bucket mechanisms are disclosed in U.S. Patent No. 5,311,513 entitled "Rate-based Congestion Control in Packet Communication Networks" by including (Ahmadi et al) Ahmadi. 리키 버킷 모듈(107)의 기능은 트래픽이 네트워크(200)로 진입하기 전에 트래픽을 ＂쉐이프(shape)＂하는 것이다. Function of the leaky bucket module 107 is that the traffic is the traffic before it enters the network 200, "shape (shape)". 초기에 제공된 통계적 기술(statistical description)과 부합하지 않는 사용자 패킷들은 레드로 표시되거나 혹은 제거된다. Provided initially do not meet the statistical technique (statistical description) user packets are marked with a red or or removed. 자신의 피크율 R, 평균율 m, 및 평균 버스트 지속기간 b에 의해 특성화되는 접속에 있어, 해당 접속에 대한 대역폭 요구가 이 접속에 대해 네트워크 내에 실제로 예약된 대역폭의 양을 초과하지 않는 것을 제어하기 위해 리키 버킷 모듈(107) 내에서 4 개의 파라미터가 계산되고 사용된다. In order to control that in the connection which is characterized by its peak rate R, the temperament m, and average burst duration b, the bandwidth required for that connection which does not exceed the amount of actually reserved bandwidth in the network for this connection the four parameters are calculated and used in the leaky bucket module 107. 이 값은 수학식1에 의해 결정된다. 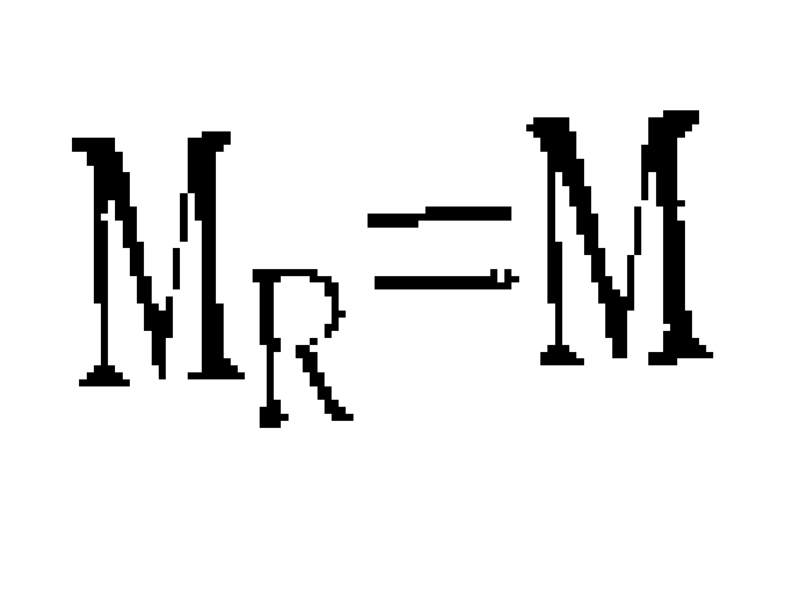 This value is determined by the equation (1). 여기서, X는 접속의 경로에 따라 각 트렁크 어댑터(304) 상에서 이용 가능한 버퍼 스페이스의 양(비트 단위). 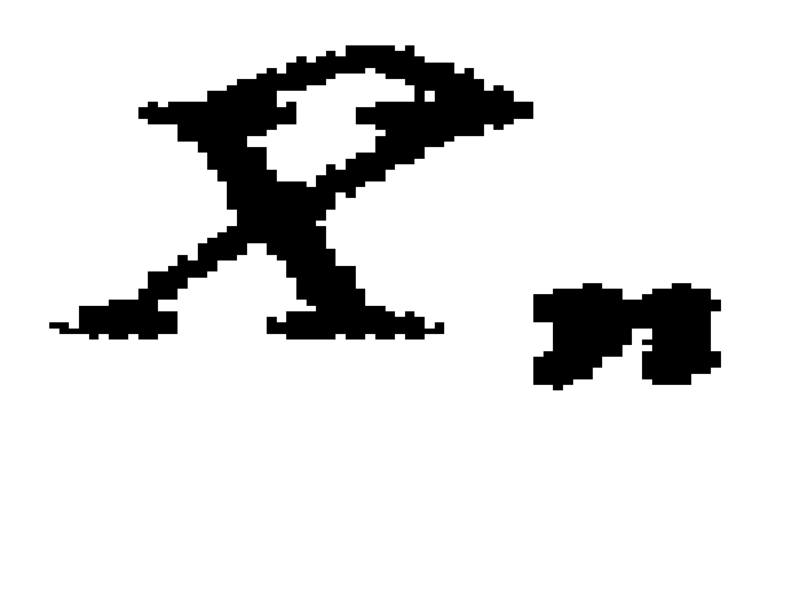 Here, X is the amount of buffer space available on the respective trunk adapter 304 in accordance with the path of the connection in bits. 은 네트워크내 목적지의 최대 패킷 손실 확률이다. Is the maximum packet loss probability within the network destination. 간단히 하기 위해, 모든 버퍼 사이즈는 동일하며(X), 각각의 링크에 대한 목적지 최대 패킷 손실 확률들은 동일하다(ε)고 가정한다. For simplicity, all of the buffer sizes are the same and (X), up to the destination packet loss probabilities for each link are assumed to be the same (ε). 이 값은 수학식2에 의해 결정된다. This value is determined by the equation (2). =0.01)이며, 최대_패킷은 네트워크 액세스에서 패킷의 최대 사이즈를 나타낸다. A = 0.01), the maximum packet _ represents the maximum size of a packet from network access. 는 그린 토큰 발생율의 부분으로 설정(set)된다. It is set (set) as part of the green token generation rate. 전술된 실시예에 있어서, 이 부분은 10%로 설정된다. In the described embodiment, this portion is set to 10%. γ은 수학식3에 의해 주어진다. γ is given by equation (3). 이 값은 수학식4에 의해 결정된다. This value is determined by the equation (4). 접속이 설정되었을 때, 대역폭 양 γ은 접속 에이전트 모듈(103)에 의해 네트워크 내에 예약되며, 리키 버킷 파라미터들이 초기화된다. When the connection is established, the amount of bandwidth γ is reserved in the network by connection agent module 103, it is initialized leaky bucket parameters. 그린 토큰 풀은 수학식2에 의해 주어진 것과 같이 자신의 최대값으로 설정되며, 수학식 1에 의해 주어진 비율 γ로 연속적으로 갱신(refresh)된다. Green token pool is set to its maximum value, as given by equation (2), is continuously updated (refresh) rate γ as given by equation (1). 풀은 매초 γ비트를 수신한다. Pool receives a second bit γ. 과 같이 연속적으로 갱신된다. It is continuously updated with the steps. 각각의 새로운 인입 패킷에 있어, 상기 리키 버킷 모듈(107)은 자신의 그린 풀 내에 충분한 그린 토큰이 있는지를 검사한다. In each new incoming packet, the leaky bucket module 107 checks whether there is enough green tokens in their green pool. 결과가 긍정이면, 이 패킷은 ＂그린＂으로 표식되어 바로 네트워크로 전송된다. If the result is positive, the packet is labeled as "green" is sent directly to the network. 또한, 상기 리키 버킷 모듈(107)은 레드 풀이 충분한 토큰들을 포함하는지를 조사한다. In addition, it is checked whether the leaky bucket module 107 includes sufficient red token pool. 결과가 긍정이면, 이 패킷은 제거될 수 있는(＂레드＂)것으로 표식되어 네트워크로 전송된다. If the result is positive, the packet is to be labeled, which can be removed ( "red") is transmitted to the network. 그렇지 않을 경우, 패킷은 제거되거나 혹은 주기 동안 상기 패킷을 전송될 수 있도록 하는 충분한 그린 혹은 레드 토큰을 풀이 포함하도록 허용하는 옵션적인 공간이 된다. If not, the packet is or is removed or allowed to contain a pool of sufficient green or red tokens to allow the packet to be transmitted for a period optional spaces. 그러나, 트래픽 특성들이 초기에 협약된 값 내에 남아있으면, 레드 표시 메카니즘은 약속된 손실 확률을 보증하는 것으로 충분히 제한된다. However, if left in the traffic characteristics to the value of the initial agreement, Red display mechanism is sufficiently limited to ensure the promised loss probability. 인입 트래픽의 특성들이 협약된 값에서 상당히 벗어나면, 예측 및 적응 모듈(104)은 정정 동작을 취하고, 이하 기술되는 바와 같이 대역폭 예약을 증가 혹은 감소시키기 위해 호출된다. If significantly away from the characteristics of the incoming traffic to agreement value, and adaptive prediction module 104 is called in order to increase or reduce the bandwidth reservation as to take a corrective action, described below. 접속이 허용됐을 때, 상기 리키 버킷 모듈(107)이 활성화되어 사용자는 트래픽의 도입을 시작한다. When the connection would have been accepted, the leaky bucket module 107 is activated, the user starts the introducing of the traffic. 동시에, 예측 및 적응 모듈(104)은 접속의 유지 동안 발생된 인입 트래픽의 특성 내에 어떠한 상당한 변화가 있는지를 판단하기 위해 인입 트래픽의 모니터링을 시작한다. At the same time, the predictive and adaptive module 104 starts to monitor the incoming traffic to determine if there are any significant changes in the characteristics of the incoming traffic for the maintenance of the connection. 모니터링을 시작하며, 예측 및 적응 모듈(104)은 새로운 대역폭 할당을 요구하도록 접속 에이전트에 통지하고, 이 접속에 대해 필요한 새로운 트래픽 파라미터를 접속 에이전트에 제공한다. Start monitoring and prediction and adaptive module 104 provides the new traffic parameters required for the notification to the access agent to request a new bandwidth allocation, and is connected to the connecting agent. 전술한 바와 같이, 접속 에이전트(103)는 상기 접속에 대한 대역폭 조정을 요구함으로써 링크(110) 상에 새로운 대역폭 요구를 발생시킨다. As described above, access agent 103 generates a new request bandwidth on the link 110 by requiring a bandwidth adjustment for the connection. 조정이 허용되면, 리키 버킷 파라미터들은 새로운 트래픽 특성들로 갱신되며, 예측 및 적응 모듈(104)은 인입 트래픽의 모니터링을 계속하지만, 이 경우의 인입 트래픽은 새로운 특성을 가진다. When the adjustment is accepted, leaky bucket parameters are updated with the new traffic characteristics, prediction and adjustment module 104 continues to monitor the incoming traffic, but in this case the incoming traffic has a new attribute. 새로운 접속이 요구되기보다는 새로운 대역폭 할당만이 요구됨을 주지해야 한다. Rather than a new connection request should give the new bandwidth allocation is required only. 따라서 기존의 접속을 해제하고 새로운 접속을 설정하는 데 따라 발생하는 오버헤드(the overhead)를 절약할 수 있다. Therefore, it is possible to release the existing connection to save the overhead (the overhead) generated according to set up a new connection. 요구된 부가적인 대역폭이 이용 가능하지 않은 경우에는 접속은 근원지 노드 측의 전송자와의 최초의 협약에 따라 해제되거나 혹은 낮은 우선 순위가 주어질 수 있다. If the requested additional bandwidth is not available, the connection may be given off in accordance with the first or agreement or low priority of the sender of the source node side. 여기서, 필터 파라미터 α는 0과 1 사이(0 ＜α＜ 1)에 있고, 상기 식에서 두항의 상대적 신뢰도(relative reliability)를 결정한다. Here, the filter parameter α is in between 0 and 1 (0 <α <1), determines the relative reliability (relative reliability) of the above formula duhang. α의 값은 m 필터(105)에 대해 상수 0.8로 설정된다. The value of α is set to a constant of 0.8 m for the filter 105. 이며, 여기서 α S 는 다음에 설명되는 바와 같이 링크(116) 상의 감독 모듈(the Supervision module)(114)에 의해 제공된 파라미터이다. , Where α S is the parameter provided by the supervision module (the Supervision module) (114) on the link 116, as will be described in the following. 는 매 t 초 마다 한 번 씩 예측 및 적응 모듈(104)로 전달된다. It is transferred to one by one per every t seconds prediction and adjustment module 104. 이들 필터된 값들은 허용 가능한 값들과 비교되어 적응이 필요한지, 즉, 새로운 접속 요구가 보증되는지의 여부가 예측 및 적응 모듈(104) 내에서 결정된다. The filtered values ​​are compared with acceptable values ​​required to adjust, that is, a new connection request is determined whether or not the guarantee in the prediction and adjustment module 104. 이 비교는 도4에 도식적으로 개시된 적응 영역과 관련하여 기술될 것이다. This comparison will be described in relation to the adaptation region disclosed diagrammatically in Fig. 의 변화에 응답하여 접속 대역폭을 적응하는데 사용된 영역들을 도시한다. In response to the change and showing an area used to adapt the connection bandwidth. 도4는 이차원 평면 내의 3개의 영역을 포함한다. Figure 4 includes three regions in the two-dimensional plane. 는 상수이며, 이는 바람직한 실시예에서 5.10 -2 이다. It is a constant, and it is 5.10 -2 in the preferred embodiment. 영역(602)는 두 개의 부영역(sub-area)으로 더 나뉜다. Area 602 is divided further into two sub-areas (sub-area). 은 10 -2 의 값을 가지는 상수이다. It is a constant having a value of 10 -2. 영역(601)은 두 개의 하부 영역으로 더 나뉜다. Area 601 is divided further into two sub regions. 여기서, 바람직한 실시예에 있어서, β는 0.3의 값을 가지는 상수이다. Here, in the exemplary embodiment, β is a constant having a value of 0.3. 의 위치를 검사하고, 적응 영역에 따라 상향 조정 혹은 하향 조정 또는 접속 대역폭을 적응시키지 않는 것 중 하나를 결정한다. Checking the position and determines the one that does not suit the raised or lowered or connection bandwidth according to the adjustment region. 이 결정은 도5에 도시된 알고리즘에 따라 행해진다. This decision is made in accordance with the algorithm shown in Fig. )이 평면 상에서 어디에 있는지 판단한다. ) Determines where on the plane. (512) : 점이 ＂조정하지 않음＂ 영역(604) 내에 있으면, 적응이 시도되지 않고 알고리즘은 종료된다. 512: If the point is within the "no adjustment" zone 604, but does not attempt to adapt the algorithm is ended. )이 위치한다. ) It is positioned. (507) : 이 점이 하부영역(602a) 내에 있으면, 버스트 파라미터 b의 새로운 값은 더비 등(Derby et al)에 의한 ＂Dynamic Bandwidth Estimation and Adaptation for Packet Communications Networks＂라는 명칭의 미국 특허 제 5,359,593 호에 개시된 지수 치환 방법에 의해 예측된다. 507: If in this point the lower region (602a), the new value of the burst parameter b is Derby such as the name of the U.S. Patent No. 5,359,593 No. of "Dynamic Bandwidth Estimation and Adaptation for Packet Communications Networks" by (Derby et al) disclosed is predicted by the exponential substitution method. b는 수학식 5에 의해 주어진다. b is given by the equation (5). (506) : 이 점이 하부 영역(602b) 내에 있으면, 버스트 파라미터 b의 새로운 값이 계산된다. 506: If the point in the lower region (602b), the new value of the burst parameter b is calculated. b=b_max 여기서, b_max는 이 실시예에 의해 지원되는 최대 버스트 사이즈이다. b = b_max Here, b_max is the largest burst size supported by this embodiment. 바람직한 실시예에서 b_max = 10ms 이다. In a preferred embodiment the b_max = 10ms. (502) : 점이 ＂하향 조정＂영역(601) 내에 있으면, 카운터 n_Low가 증가되며 검사된다(503). 502: If the point is in the "lowered" area 601, the counter is increased n_Low is checked 503. (512) : 바람직한 실시예에서 카운터의 갱신된 값이 5로 정해진 상수 N_Low보다 작으면, 알고리즘은 종료된다. 512: If the updated value of the counter is less than the constant N_Low set at five in the preferred embodiment, the algorithm is ended. 카운터의 증가(502)와 검사(503)는 과도상태(transcient state) 동안 너무 신속한 하향 조정 결정을 방지한다. Increase of the counter 502 and the test 503 prevents too rapid downward adjustment determined for the transient state (transcient state). (504) : 이 점이 N_Low 주기 t 동안 ＂하향 조정＂ 영역(601) 내에 있으면, 검사(504)에 의해 두 개의 하부 영역 (601a) 또는 (601b) 중 한 영역내에 점의 위치를 결정한다. 504: This point determines the position of the points within the region of the two lower areas (601a) or (601b) by a test (504) is in the N_Low period t "downgraded" area 601 for. (508) : 점이 하부 영역(601a) 내에 있으면, 버스트 파라미터 b의 새로운 값이 계산된다. 508: If the point in the lower region (601a), the new value of the burst parameter b is calculated. 여기서, c는 ＞ 1인 상수이다(바람직한 실시예에서 c = 2). Here, c is> 1 is a constant (c = 2 in the preferred embodiment). (507) : 점이 하부 영역(601b) 내에 있으면, 수학식5에 의해 버스트의 파라미터 b의 새로운 값이 계산된다. 507: If the point in the lower region (601b), is calculated the new value of parameter b in the burst by the equation (5). (509) : 버스트 파라미터 b의 새로운 값이 (506), (507), 혹은 (508)에 의해 결정되면, 그린 토큰 생성율 γ의 새로운 값이 계산된다. 509: If the new value of the burst parameter b determined by the 506, 507, or 508, the green token generation rate γ of the new value is calculated. (510) : 이때, 도4의 영역들이 계산된다. 510: In this case, the areas are calculated in Fig. 으로 설정된다. It is set to be. (511) : 도7의 대역폭 요구 메시지는 링크(110) 상에서 네트워크로 전송되며, 접속에 대해 예약된 대역폭을 조정하기 위해 경로 상의 모든 노드로 전달된다. 511: The bandwidth request message of FIG. 7 is transmitted to the network over the link 110, it is transmitted to every node on the path to adjust the bandwidth reserved for the connection. 접속 사이의 공정성이다. A fairness between access. 이들 특징들은 도1에 도시된 바와 같이 동적 트래픽 관리 메카니즘의 상부에 구현된 감독 모듈(114)의 덕택으로 지원된다. These features are supported, thanks to a supervision module 114 is implemented on top of the dynamic traffic management mechanism, as shown in FIG. 접속의 수에 대한 전역 제어는 다음과 같이 구현된다. Global control of the number of connection is implemented as follows. 각각의 샘플링 주기 t에서, 감독 모듈(114)은 링크 (115.1),(115.2), ..., (115.N) 상에서 n 개의 대역폭 요구를 수신한다. In each sampling period t, director module 114 receives the n number of bandwidth required on the link (115.1), (115.2), ..., (115.N). 이때 n은 다음의 식을 만족한다. Where n meets the following expression. 여기서, N은 프로세서에 의해 서비스(served)되는 접속의 총 수이다. Here, N is the total number of connections serviced (served) by a processor. 는 필터링 동작에 의해 예측된다. It is predicted by the filtering operation. 는 사전 설정된 임계값과 비교된다. Is compared with a predetermined threshold value. N 0 를 프로세서의 프로세싱 용량(초당 적응의 수)으로 놓으면, 다음의 검사가 수행된다. Placing the N 0 to the processing capacity of the processor (the number of second adjustment) is performed the following tests. 필터에 의해 예측된 바와 같이 평균 레드 표시 확률의 빠른 변동들을 가능하게 하는 루스한 값(loose value)로 이완된다. It is relaxed to a loose-value (loose value) that enables rapid fluctuations in the average probability of a red display, as predicted by the filter. = 0.6 이다. A = 0.6. 의 변동을 느리게 하는 루스한 값으로 설정된다. Of the fluctuation it is set to a value which slowly loose. = 0.8 이다. A = 0.8. 는 자신의 공칭값으로 설정된다. They are set to their nominal value. 을 확정(freezes)함으로써, 도4의 평면내 변위가 매우 느리도록 만드는 타이트한 값(tight value)으로 설정된다. Defined by (freezes) the, is set to a value making tight so that a very slow-plane displacement of the Figure 4 (tight value). 는 증가하므로, 도4의 하향 조정 영역(601)내의 접속의 궤적(trajectory)은 많은 시간을 소모할 것이며, 따라서 초당 대역폭 적응의 평균 횟수를 N 0 에 수렴하도록 할 것이다. Locus (trajectory) of the connection within, Figure 4 lowered area 601 because of the increase will be time-consuming, and thus will converge to the average number per second of bandwidth adaptation to N 0. 를 제어하기 위해 정의된다. It is defined to control. 각 샘플링 주기 t에서, 프로세서는 매 접속(i= 1, ..., N)에 대해 다음의 동작을 수행한다. In each sampling period t, the processor performs the following operations for every connection (i = 1, ..., N). 첫째로, 공정성 변수 F i 가 갱신된다. First, a fairness parameter F i is updated. 접속 i가 새로운 대역폭 요구를 하면 F i = 0.99F i + 0.01 이다. When a connection i is the new bandwidth request F i = i + 0.99F 0.01. 둘째로, 공정성 변수 F i 가 검사된다. Second, a fairness parameter F i is examined. δ가 바람직한 실시예에서 1인 상수일 때, F i ＞δ/N 0 이면, 접속 i는 자신이 대역폭 요구를 하더라도 카운터 F i 가 제한값 δ/N 0 이하로 감소될 때까지 더 이상 공정한 접속으로 간주되지 않으며 적응되어서는 안되는 것으로 간주된다. When δ is 1, a constant in the preferred embodiment, F i> When the δ / N 0, connection i is longer, until they are even if the bandwidth requirement to be the counter F i decreases below the limit value δ / N 0 fair access to the not be considered adaptation is considered should not. 이 메카니즘은 단일 접속이 보통 접속의 공정한 공유당 프로세서를 호출할 수 있는 1/N 0 보다 상당히 큰 프로세서 계산 용량의 부분을 사용할 수 없도록 하여 접속들 간의 공정성을 보증한다. This mechanism guarantees the fairness among the connection to disable the considerably large portion of the processor calculation capacity than 1 / N 0 with a single connection usually be called a fair share of access per processor. 프로세서 자원을 초과 예약(overbook)하기 위해서는 1보다 상당히 큰 δ의 값을 사용할 수 있다. To reserve (overbook) exceeds the processor resources can be used significant values ​​of δ greater than 1. 본 발명은 신호 근원지(the signal source)의 평균 비트율(mean bit rate)과 접속의 손실 확률(the loss probability)을 연속적으로 모니터링(monitors)하는 동적 대역폭 조정 메카니즘(a dynamic bandwidth adjustment mechanism)을 포함하는 패킷 스위칭 네트워크에 대한 액세스를 적응 시키기 위한 방법 및 시스템에 관한 것이다. The present invention comprises a signal source (the signal source) the average bit rate (mean bit rate) and the dynamic bandwidth adjustment mechanism (a dynamic bandwidth adjustment mechanism) which continuously monitor (monitors) the loss probability (the loss probability) of connection of the to a method and system for adapting an access to the packet switching network. 이들 값들은 노이즈(noise)를 제거하기 위해 필터링되며, 이 값은 사전 정의된 허용 적응 영역(a pre-defined acceptable region) 내에 있는 평균 비트율과 손실 확률 평면 내에 해당하는지 검사하는 데 사용된다. These values ​​are filtered to remove noise (noise), then this value is used to check whether the average bit rate and loss probability within the plane in the predefined acceptable adaptation region (a pre-defined acceptable region). 이 영역 외부에 해당하는 값에 의해 대역폭 적응 조치가 개시되며, 결과적으로 새로운 접속 대역폭이 획득되고, 적응 메카니즘에 대한 새로운 파라미터가 결정된다. This area is a bandwidth adaptation action initiated by a value which corresponds to the outside, as a result, a new connection bandwidth is acquired, it is determined that the new parameter for the adaptation mechanism. 더욱이, 이 메카니즘은 자신의 처리 용량이 주어진 경우 단일 프로세서에 의해 적응될 수 있는 접속의 수를 제어한다. Moreover, this mechanism is given, if its own processing capacity controls the number of connections that may be adapted by a single processor. 이 제어 메카니즘은 통상적으로 단일 접속이 프로세서 용량의 상당 부분을 사용하는 것을 방지함으로써 접속들 간의 공정성을 보증한다. The control mechanism is typically guarantee the fairness among the connection by preventing a single connection using a substantial part of the processor capacity. 근원지 노드 내의 동일한 프로세서에 의해 처리된 모든 접속에 대해 상기 대역폭 변경 요구의 평균 횟수에 따른 손실 확률 측정 로우 패스 필터(low pass filter)의 대역폭을 적응시키는 단계를 포함하는 패킷 스위칭 통신 네트워크에 대한 액세스의 동적 적응 방법. The source of the access to a packet switched communications network, comprising the step of adapting the bandwidth of the loss probability of the average number of times a measured low-pass filter (low pass filter) of the bandwidth change request for all connections processed by the same processor in the node, dynamic adaptation method. 제1항에 있어서, 상기 대역폭 변경 요구의 평군 횟수를 측정하는 단계는, 상기 대역폭 변경 요구의 평균 횟수 측정의 값을 필터링하는 단계를 더 포함하는 패킷 스위칭 통신 네트워크에 대한 액세스의 동적 적응 방법. The method of claim 1 wherein the steps of dynamically adapting the method of access to a packet switched communications network further comprising: filtering the value of the average number of times the measurement of the bandwidth change request to measure the pyeonggun frequency of the bandwidth change request. 제1항 또는 제2항에 있어서, 동일한 프로세서에 대해 요구되는 대역폭 변경의 평균 횟수가 점점 증가할수록, 로우 패스 필터(109)의 대역폭이 점점 감소하는 패킷 스위칭 통신 네트워크에 대한 액세스의 동적 적응 방법. According to claim 1 or 2, wherein the more the average number of the bandwidth change is required for the same processor, increasing the dynamic adaptation method of access to the packet-switching communications network, the bandwidth of the low-pass filter 109 gradually decreases. 제1항 내지 제3항 중 어느 한 항에 있어서, 접속이 자신에게 할당된 대역폭의 변경을 빈번히 요구할수록 링크 프로세서는 상기 요구에 대한 우선 순위를 작게 부여하며, 접속이 자신에게 할당된 대역폭의 변경을 적게 요구할수록 링크 프로세서는 상기 요구에 대한 우선 순위를 크게 부여하는 패킷 스위칭 통신 네트워크에 대한 액세스의 동적 적응 방법. The method according to any one of claims 1 to 3, wherein the connection is more often require a variation of the bandwidth allocated to the link processor is configured to grant a smaller priority to the request, a change in a connection is allocated to the bandwidth As the less required dynamic link processor adapting the method of access to the packet switched communication network which significantly give priority to the request. 제1항 내지 제4항 중 어느 한 항의 방법에 따라, 전송 링크(209)로 상호 접속된 다수의 노드(201..208)들을 포함하는 패킷 스위칭 통신 네트워크(200)에 대한 액세스를 적응시키는 방법을 실행하는 수단을 포함하는 통신 노드(300). A first method of adapting access to to claim 4, packet-switched communication network 200 including a plurality of nodes (201..208) interconnected by transmission links (209) according to any one of the methods of Section communications node 300 comprises means for running. 제5항에 따르는 다수의 노드(201..208)들을 상호 접속하기 위한 다수의 전송 링크를 포함하는 패킷 스위칭 통신 네트워크(200). Claim 5, wherein the plurality of nodes a packet switched communication network 200 comprising a plurality of transmission links for interconnecting (201..208) according to.